Evil is a problem that will not go away. For some it is an inescapable fact of the human condition. For others "evil" is a term that should only be used to name the most horrible of crimes. Still others think that the worst problem lies with the abuse of the term: using it to vilify a misunderstood enemy. 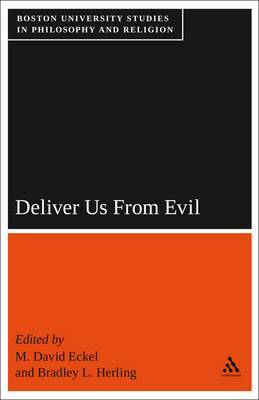 No matter how we approach it, "evil" is a concept that continues to call out for critical reflection. This volume collects the results of a two-year deliberation within the Boston University Institute for Philosophy of Religion lecture series, bringing together scholars of religion, literature, and philosophy. Its essays provide a thoughtful, sensitive, and wide-ranging consideration of this challenging problemGCoand of ways that we might be delivered from it.